TCW [see profile] just launched a new growth fund focused on small and mid-cap stocks. Today the Los Angeles-based mutual fund firm revealed the TCW SMID Cap Growth Fund [see prospectus]. Husam Nazer, co-head of TCW's small and mid-cap growth equities team, PMs the fund. Both the fund's I and N shares currently cost 120 basis points. U.S. Bancorp Fund Services serves as the fund's transfer agent. LOS ANGELES, CA--(November 1, 2010) - �The TCW Group, Inc. ("TCW"), an international asset-management firm, today announced the availability of the TCW SMID Cap Growth Fund. The fund expands TCW's lineup of strategies focused on U.S. growth stocks. The TCW SMID Cap Growth Fund (TGSDX/TGMDX) invests in stocks of small and mid-cap growth companies that generally fall within the market capitalization range of the Russell 2500 Growth Index. The Fund is managed by Husam Nazer, who along with Brendt Stallings, co-heads TCW's Small and Mid-Cap Growth Equities team. The Fund adheres to the same fundamental research, sector diversification and cash flow-based approach that has earned recognition for two other Funds supported by the team: the TCW Small Cap Growth Fund (NASDAQ: TGSCX) (NASDAQ: TGSNX) and the TCW Growth Equities Fund (NASDAQ: TGGEX) (NASDAQ: TGDNX). 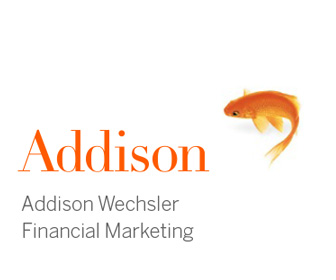 "We follow the same philosophy and the same discipline in the SMID Cap Growth Fund. The only difference is market capitalization," said Nazer, who has managed SMID strategies at TCW for eight years. "The smaller companies that make it into the mid-cap range provide some of the best opportunities to create wealth." The TCW Small Cap Growth Fund won a Lipper Award in 2010 for delivering strong and consistent performance over the last three years, ranking No. 1 out of 463 funds in its classification. The TCW Growth Equities Fund, meanwhile, maintains an overall 4-star rating from Morningstar out of 690 funds in the mid-cap growth category as of September 30, 2010 and a five-year 4-star rating out of 597 funds in the category. "The SMID Cap Growth Fund should benefit, as our existing funds have, from a strong commitment to proprietary equities research," said Charles "Chuck" Baldiswieler, President and Chief Executive Officer of TCW Funds, Inc.�"Brendt and Husam have built an outstanding track record in the small and mid-cap growth asset classes, and we look forward to them extending that expertise in their new fund." 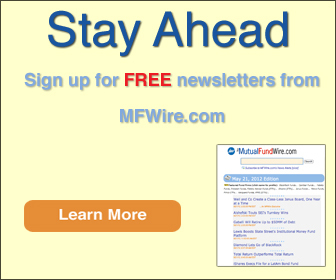 For more information on the TCW SMID Cap Growth Fund please visit www.tcw.com or call us at 800-386-3829. TCW Funds, Inc. is an open-end investment company, consisting of 21 separate mutual funds sold primarily to individual investors and retirement plans. Founded in 1971, The TCW Group, Inc. develops and manages a broad range of innovative, value-added investment products that strive to enhance and protect clients' wealth.�The firm has approximately $110 billion in assets under management.�TCW clients include many of the largest corporate and public pension plans, financial institutions, endowments and foundations in the U.S., as well as a substantial number of foreign investors and high net worth individuals.�TCW is a subsidiary of Soci�t� G�n�rale. For more information, please refer to www.tcw.com. For each fund with at least a three-year history, Morningstar calculates a Morningstar Rating(TM) based on a Morningstar risk-adjusted return measure that accounts for a variation in a fund's monthly performance (including the effects of sales charges, loads, and redemption fees), placing more emphasis on downward variations and rewarding consistent performance. The top 10% of funds in each category receive 5 stars, the next 22.5% receive 4 stars, the next 35% receive 3 stars, the next 22.5% receive 2 stars and the bottom 10% receive 1 star. The Overall Morningstar Rating for a fund is derived from a weighted average of the performance figures associated with its three-, five- and ten-year (if applicable) Morningstar Rating metrics. �2010 Morningstar, Inc. All Rights Reserved. The information contained herein: (1) is proprietary to Morningstar; (2) may not be copied or distributed; and (3) is not warranted to be accurate, complete or timely. Neither Morningstar nor its content providers are responsible for any damages or losses arising from any use of this information. You should consider the investment objectives, risks, and charges and expenses of the Fund carefully before investing. The Fund's prospectus contains this and other information about the fund. To receive a free Prospectus, please call (800) 386-3829 or you may download the Prospectus from the Fund's website at www.tcw.com. Read it carefully before you invest or send money. Stock Funds have the same equity and price volatility risks associated with the underlying stocks in the portfolio, all of which could reduce the Fund's value. Funds investing in mid and small cap companies involve special risks including higher volatility and lower liquidity.�As stock prices fluctuate, the value of the Fund can decline and an investor can lose principal.